Every year we get new schools. In Australia and the UK, where Innovation Unit mainly works, governments are commissioning new school builds in response to population growth. In the US, following years of underspending on construction, there is pressure on districts and states to re-build as student numbers continue to rise. This investment in new schools and buildings is a once in a lifetime opportunity for innovation. But the starting point for new schools is rarely the best knowledge from around the world about how schools could (or should) look and function in this modern era. Will the process produce something new, different and future-focused? Is sufficient thought going into how to engage students fully in the design process? Is enough being said about the need for new school designs that prepare all students well for the world they will enter? Our model of schooling is more than 100 years old and has barely changed in that time, while the rest of society – our industrial practices, technology, the media we use, our leisure activities, the global scope of our world, communication systems – has undergone a revolution. There has been a similar revolution of opportunities for and modalities of adult education. Since the 1960s, the Open University (OU) has demonstrated that virtually every adult is capable of degree level study, given the right forms of learning and assessment. More than three million people, most failed by their schooling, have passed OU degrees. The original purpose of school – designed to sort and sift; to separate sheep and goats – is now redundant. We need 100% of students to be skilled and capable citizens able to contribute positively to both their economic and social world. While we have made moves in the right direction, we are to a certain extent still ﬂogging the dead horse out of the out of date school model, when it is patently incapable of responding to the challenges young learners will face in their future. So what is wrong with this particular dead horse? Let’s ask ourselves just 10 questions. Why do we still have age-cohorting? It certainly isn’t because we believe that all students mature and progress at the same rates. Watch rehearsals for a school production or a concert if you wonder about mixed-age learning. Why have we retained so exclusively the subject-based curriculum, when no tasks in the real world segregate knowledge or its applications in that way? 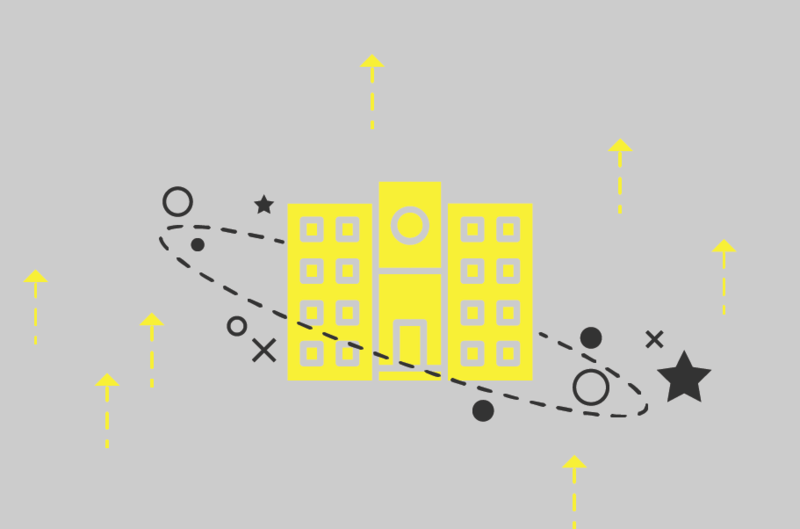 Why are schools designed into corridors and classroom spaces – such that it makes teaching the most isolated and un-stimulating professional practice? Why do we assess all students at the same time, rather when they are ready to demonstrate mastery (think music grades, or driving test, or sports coaching awards, or Open University modules, or PhD dissertations)? Why do schools set homework, when they already have students in school for 25-30 hours a week – and when the world outside school is rich in opportunities for self-initiated learning? Why do most schools have 25 one-hour lessons – when nobody believes that it is a unit that is enabling of deep or applied learning? Why is the assessment outcome that matters still an exam written on pen and paper and marked by anonymous paid markers – when teachers know students and their capabilities from ﬁve years of engagement with them? Does speaking matter? Do so-called hard skills matter? Do so-called soft skills? Does making and doing matter? If so, why are none of these things given high currency? Why do we persist with the corrosive language and practice of ‘ability’ groupings. Schools are the only places where it is deemed appropriate to name people ‘low ability or ‘less able’. Finally, a contentious one. Given that schools are centres of learning, why are the adult learning norms and practices in most of our schools so abysmally poor? There is a simple truth that confronts our model of schooling. We know that capability is multifaceted and that human potential is such that virtually all adults are capable of high-level learning and complex task accomplishment. We also know that the existing model of school has consistently failed to enable all students to be successful, or to close the equity gap between those from advantaged backgrounds and those who are not. And it isn’t the fault of the students (many of whom go on in adulthood to achieve remarkably beyond their schools’ predictions). It is the fault of the model of schooling – and no amount of external school review, or examination rigour, or teacher performance management can make a model that is out-of-date ﬁt for our times. It is ﬂogging a dead horse. Fortunately, there is a better way. The United States has more than 100,000 schools, so it’s not surprising that it has some of the worst and the best school practices in the world. A key point, though, is that the best are best by design. In 1984 the Coalition of Essential Schools emerged following publication of Ted Sizer’s book ‘Horace’s Compromise’. It began as a network of 12 schools and as of 2016 had more than 600, connecting under the banner of ‘common principles for uncommon schools’. 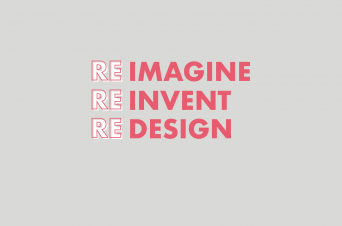 It represented the start of the US whole school reform or redesign movement, with each model tending to be based upon a set of shared design principles. In 1991 the New American Schools initiative was launched. Its intention was to stimulate the development and implementation of transformative whole school designs and it supported school design teams (educators, business people, researchers) to create potentially transformative new school designs with the scope to be scaled. Of course, not all were successful, but some proved to be seminally influential – such as Expeditionary Learning, Co-NECT Schools, ATLAS Schools or Roots and Wings. Even more successful was the establishment of the precedent of new school design and the practice of individual and collective evaluation of designs. Fast forward to 2000 and the Bill and Melinda Gates Foundation resolved to break up large high schools and turn them into ‘small schools’ – small learning communities of 400 or fewer students. Some 2,600 new small high schools opened in 45 states. Were all these schools successful? Of course they weren’t. However, the small-high-schools programme funded the growth of the Big Picture high schools, founded by Dennis Littky and Elliot Washor. Other networks that can trace their origins and growth to this period include EdVisions, New Tech Network, and High Tech High. The high schools in these four school design networks work. Of course there will be excellent schools and less successful schools in each model – but overall they represent a step change for students, teachers and parents. Students in these schools all consistently outperform teenagers in conventionally sized, conventionally structured high schools with comparable demographics. The system is learning to learn from them and the work has spawned other diffusion organizations – the Buck Institute supports robust models of project-based learning to spread; Expeditionary Learning is now EL Education, creating publically available curricula for use in other schools. Bob Pearlman (formerly of NTN) curates a school reform and innovation web space. All have a pervasive cultural identity and school-level ownership of what matters, including what is assessed and how and by whom it is assessed. Yes, there are very real schooling problems in many US States and cities, but unlike most countries it has a tradition of school design from which it can learn – as evidenced in two very current reform movements: XQ America and Education Reimagined. They build from these iconic innovatory school designs with the intention of fostering a transformation movement. In the UK and Australia, we have long admired this innovation capacity – the self-conscious attempt to design, implement, evaluate and scale potentially paradigm-shifting new models of practice. When investment in US school buildings finally picks up again, let’s hope this capacity is put to more use. This blog was published by Education Week. You can read the original here. 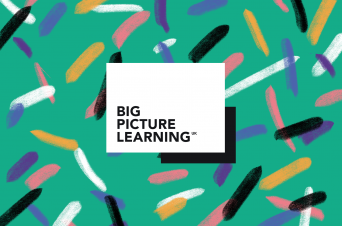 Private: Big Picture Learning UK is hiring! A teaching job unlike any other. One student at a time. 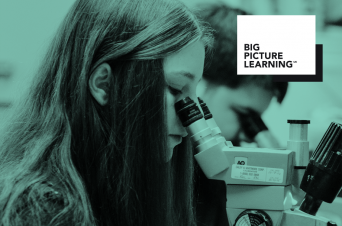 Big Picture Learning UK are looking for three Teacher Advisors to join the founding staff team of a brand new kind of school for the UK, in Doncaster. Apply by midnight Sunday 13th May.